Are you looking for an all-inclusive book explaining the science behind cleaning and how you can use it to simplify your cleaning while making your home less toxic? 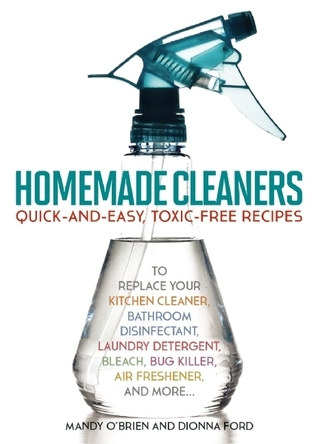 Check out my new book, Homemade Cleaners, cowritten with Dionna Ford of Code Name: Mama. Many of the very products we purchase to make our homes clean for our families are actually toxic, and because companies are not obligated to share all of the ingredients in their products, you may not even know it. Does that mean you have to spend hours making your own cleaning solutions? No! In Homemade Cleaners, we explain some of the science behind cleaning and then walk readers through simple steps they can take to make their homes less toxic. As busy moms, we understand the need to not only have your home safe and clean but also the need to not spend a lot of time or moey doing it.